Max Brough was inducted into the Hall of Fame for his contribution to the nursery and plantscaping industry since the mid 1960’s. Max was a partner in Brough Petersen Nurseries concentrating on the plantscaping industry and was a founding member of VIPA in 1984. The inaugural VIPA meeting was held at his nursery as were many of the meetings throughout the 1980’s. 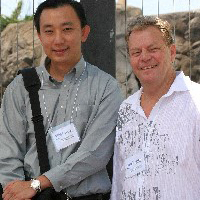 Max was an active and influential member with VIPA. Max passed away in April 2014, aged 95. Max was respected by those within the industry who knew him. 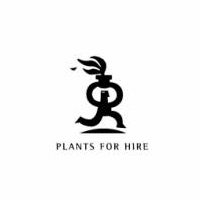 “Plants for Hire” is now managed by his son Steve Brough. Norman Johnson was inducted into the Hall of Fame for his involvement in the Australian interior Plantscape industry since he joined Sykes International (nee Rentokil) as the Nursery Manager more than two decades ago. Norman has had a significant influence on the plant hire industry nationally through his vision and devotion to innovation and his unswerving support for industry projects and events. His name has been linked with every major interior Plantscape industry event in Australia in the last two decades. 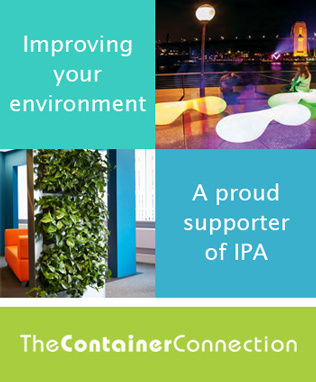 For the past 21 years, Norman Johnson through The Container Connection has led by example within industry always putting back into the industry to develop a stronger and more progressive unified sector of Australian commerce. Marieke Van Dijk was inducted into the Hall of Fame for her contribution as one of the founding members of VIPA in 1984 and for working at the helm of one of Australia’s largest plantscaping companies between 1963 and 1987. Marieke introduced the wick watering system, amongst other innovations, into Australia from Holland after travelling to research international innovations in plantscaping. Marieke’s approach to interior plantscaping involved personal research and development in an era when there were no industry conferences or published research available. Marieke is one of the pioneers of the Australian Plantscaping industry. Adj. 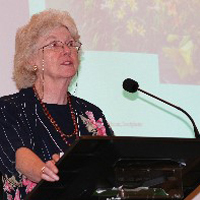 Prof. Margaret Burchett was inducted into the Hall of Fame in recognition of more than 40 years dedication to academic teaching and research in the Australian interior Plantscape industry. Margaret is now an Adjunct Professor and Doctor of the Faculty of Science, University of Technology, Sydney and a Chief Investigator in the Plants for Environmental Quality Group, researching the use of indoor plants to reduce air pollution and improve environmental quality for building occupants. Over the last few years, Margaret has spoken at many international forums. She has openly shared her research findings with the wider industry allowing the whole of the Australian interior plantscaping industry to benefit from her work.